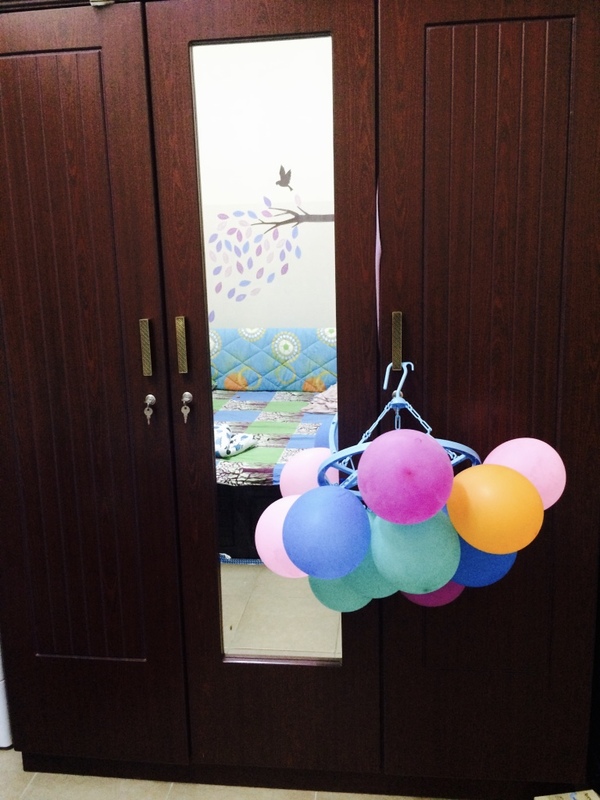 A brain which is pre occupied by the thoughts of how to keep a baby busy becomes creative.My babies never ending love for balloons made me make a super easy cheap chandelier for him. 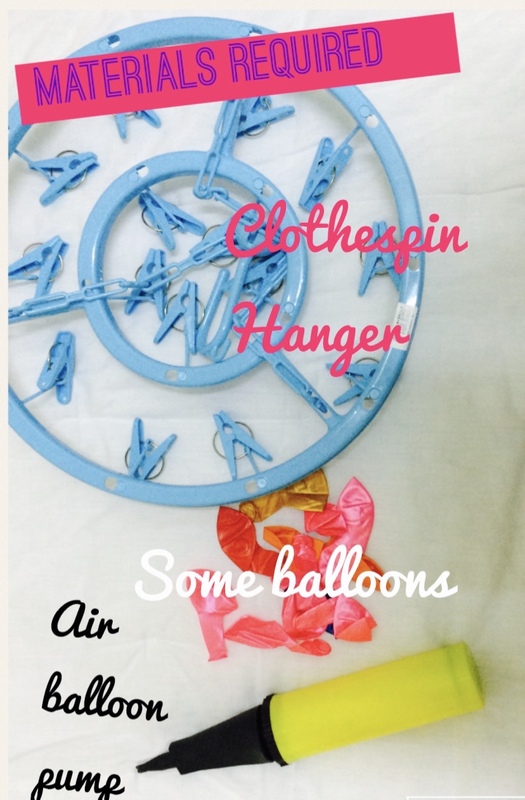 Inflate the balloons using the pump,tie the balloons hang them to the clothespins. viola !!! its done. 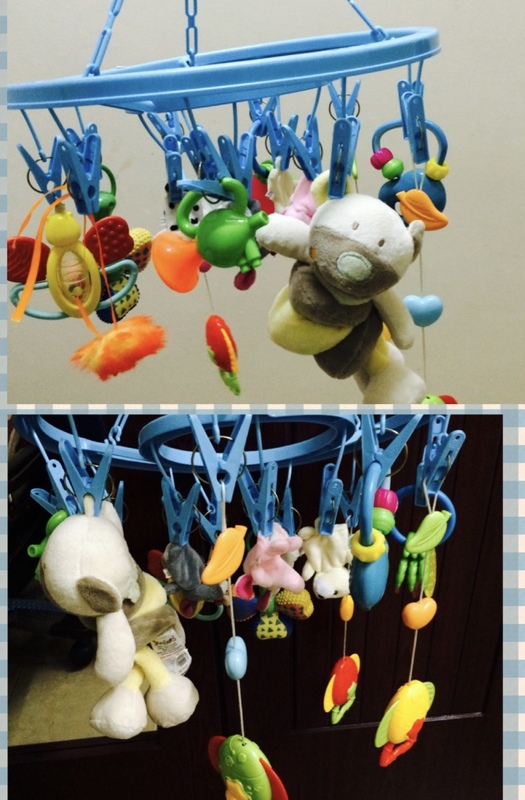 Hang it anywhere where it would attract your babies attention, my baby started walking with support so the wardrobe is the best for us. Love it.. Going to do it for my cutie.. This looks fun. Will surely try it at home. Wow…really cute and easy to do.. Such a cool idea! I am going to try out with my kids for sure.